I really had to struggle a lot to properly configure Openswan on my Red Hat Linux machine so that I can connect to my Sonicwall firewall. Well for others I will leave the steps and will also provide the links of different pages where you can look for a solution for any error they get on your way. Firstly, make sure that the VPN is enabled, and that your SonicWALL has a unique identifier. You can leave it at the default. Now define your proposals. Use Diffie-Hellman Group 5, encryption 3DES, authentication SHA1 with 28800 lifetime. For the second phase, use ESP protocol with 3DES encryption and SHA1 authentication. 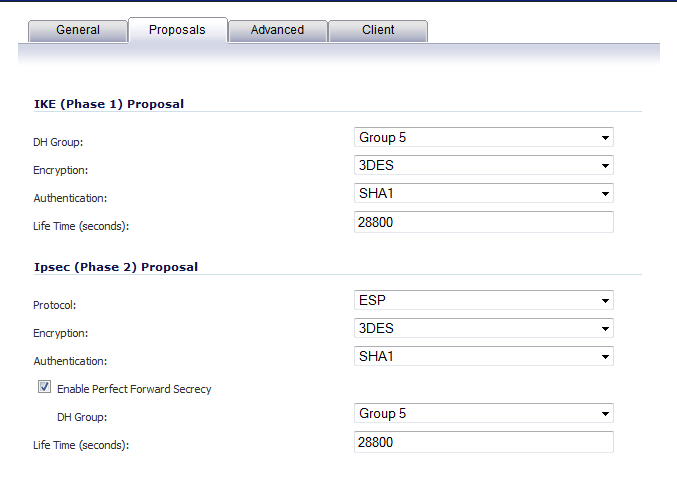 Enable Perfect Forward Secrecy. 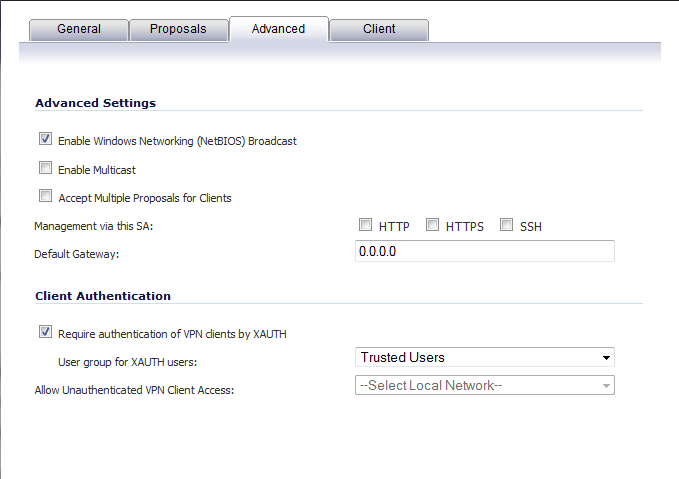 On the Advanced screen, click to enable XAUTH. We’re using a custom group called Trusted Users. 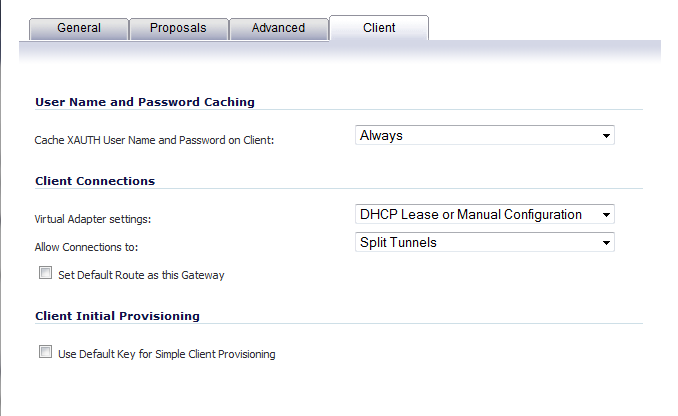 Finally, on the Client tab, uncheck all the boxes and make sure that the Virtual Adapter Settings are set to “DHCP Lease or Manual Configuration”. If you are not going to be using any Windows clients with this connection, then you can set this to “None”. This option gives the ability to use any client, though. Now click OK to apply all of these settings. or you can use yum to install this package. NOTE: If you are downloading the package from openswan and manually compiling it then the steps of configuration would be different as I am showing the steps you can use if you install a rpm file of openswan. IMPORTANT NOTE : Make sure that all the parameters are written after a TAB except ‘version’, 'conn' and 'config' or else you might get an error. NOTE: Make sure that leftid and rightid are starting by @ sign where leftid is the name given to the VPN in Sonicwall and right id is the Sonicwall Unique Identifier. You can use any conn name for this example as in my case I have used sonicwall. 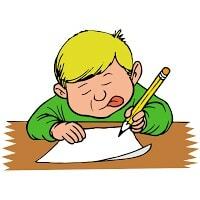 Now once you are done with the configuration file you will have to generate host key for the same. @GroupVPN @xxxxxxxxxxx : PSK "Pre Shared Key"
Write the Unique Identifier for sonicwall at the "xxxxx" sign and mention the pre shared key of sonicwall after PSK inside inverted commas. Now you have to make some changes in your /etc/sysctl.conf file. Add these at the end of the file. Usually using openswan, involves some kind of routing as well, that’s why net.ipv4.ip_forward default value 0 should be changed to 1 under the same "/etc/sysctl.conf "
So now you are successfully connected to your vpn as you can check if you are able to ping you VPN local LAN as mentioned in your ipsec.conf file. For any error related to openswan please follow this link as I have tried to help you out troubleshoot all the errors I came up with while doing the configuration. I am trying to follow your instructions (Thanks BTW).